On July 3, when you go to the grocery store take a cloth or paper bag with you because it is International Plastic Bag Free Day. International Plastic Bag Free Day is also known as International Bag Free Day. Created by Bag Free World, a “global initiative that aims to eliminate the use of single-use plastic bags,” International Bag Free Day is an unofficial holiday that promotes environmental conservation by encouraging people to reject plastic bags. The holiday also raises awareness of the harm that plastic bags do to nature and to animals and marine life. Say no to single-use plastic bags. Take your own cloth or paper bag when you go shopping. 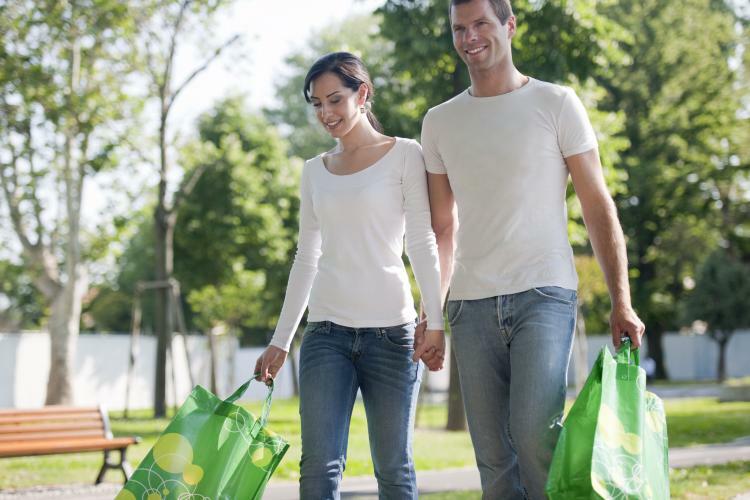 Not only will you be saving money – several grocery stores give discounts for patrons bringing in their own bags, you will also be helping to save the environment. If you are crafty, make your own bag and carry it with style. Volunteer your time or money with an environmental organization that works on cleaning water and landmasses of plastic bags. Recycle all the plastic in your house and office. If you are a company, why not make promotional cloth bags to give away to your clients and customers? …that plastic comprises of around 75% of all marine litter? I Forgot Day is a day to acknowledge that forgetfulness is part of our lives and to make up for all the times you have forgotten important things. Look up in the sky and search for Unidentified Flying Objects or UFOs on this made-up holiday. The unofficial holiday encourages people to do things that make them feel good about themselves. Find out how hot it is by frying eggs on the sidewalk.